The Library is located at 899 10th Avenue, New York, NY 10019 (between 58th St and 59th St). The Library is in Haaren Hall (commonly referred to as the "Tenth Street" or "T" building). To enter from 10th Avenue, identify yourself at the security desk or swipe your valid ID card, take the escalator downstairs, and make a U-turn and proceed to the Library entrance. Accessible entrance: Use the 59th Street entrance to the College, identify yourself at the security desk or swipe your valid ID card, then turn left. Continue through Memorial Hall and past the blue elevator area. 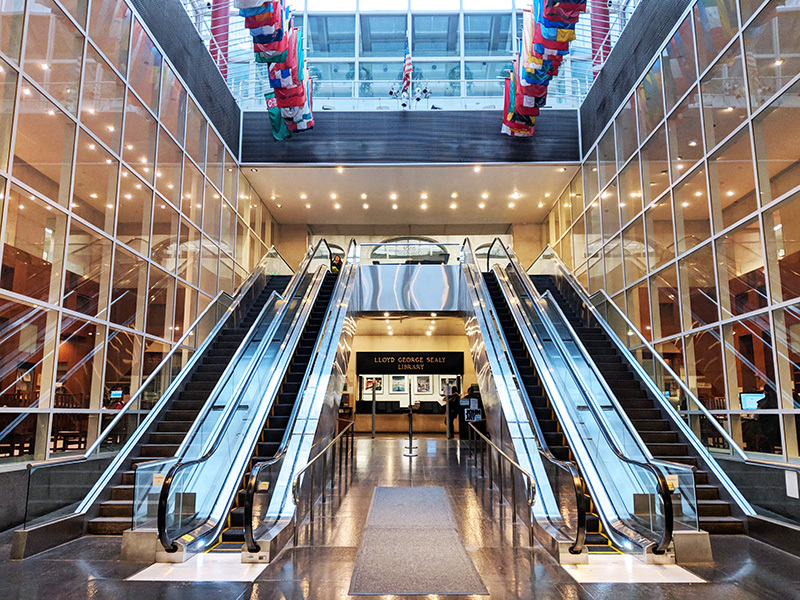 You will reach the Library entrance, located between two escalators. The closest MTA subway stop is 59th St-Columbus Circle ( lines).